A tapister is one who creates tapestries. I believe the Master Tapister is at work in the world. For a year or more now, one word has echoed in my mind: Watch. Matthew 24, Mark 13, and Luke 21 repeat a command: Watch. Be on guard. Be alert. Keep watch. "What I say to you, I say to everyone: Watch!" For what? Earthquakes. Famines. Fires. Floods. Pestilence. Wars. Revolutions. Persecution of Christians. Betrayal by relatives. Fake Messiahs, working signs and miracles. Great distress. Fearful events. Sun darkened, moon not giving its light. Stars falling from the sky. This site was created to help me and others watch. Watch for events. Watch for patterns. Tell others. And pray. Visit bettecox.com for information about the author. Revival! Has broken out across the globe with multitudes turning to God, people being born again, healed, filled with the Holy Spirit, accompanied by amazing miracles, signs, wonders by the many thousands! Cwmbran, Wales, UK is one place. South Africa is another. America is now experiencing an outpouring of the Holy Spirit across the nation. I don't want to just watch, I want to be in the middle of what God is doing! Turkish Leader – Foreshadowing An Islamic Antichrist? Is The Muslim Messiah The Biblical Antichrist? 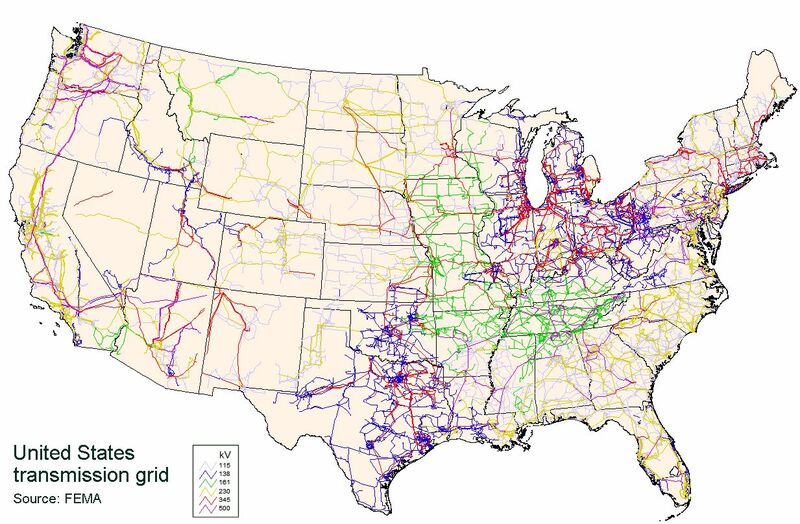 The U.S. electric grid is a complex network of independently owned and operated power plants and transmission lines. Aging infrastructure, combined with a rise in domestic electricity consumption, has forced experts to critically examine the status and health of the nation’s electrical systems. Right now various components of the United States power grid are experiencing problems from multiple threats. Firefighters have battled through the night in an attempt to protect numerous Arizona mountain communities from the spreading Wallow fire that has forced thousands to evacuate and flee their homes. The fire has now become the second largest ever seen in Arizona, and is threatening electricity supplies as far away as Texas. A major malfunction Thursday at the beleaguered Detroit Public Lighting Department knocked out Fire Department phones and power to traffic lights, municipal buildings, courts, schools and the People Mover, prompting fears that traffic snarls, widespread outages and disruptions likely would continue through tonight. From The Detroit News: City spokeswoman Karen Dumas said the outage was caused by extreme power demand for air conditioning after two days in the 90s. A massive burst of solar wind that erupted from the sun Tuesday is expected to deliver only a “glancing blow” to the Earth’s vulnerable magnetic field, NASA officials said yesterday. But it will preview what some experts call a potentially existential threat to the power grids of the United States and other nations, and the populations that depend on them. ABC News’ Huma Khan reports: The United States is ill-prepared to deal with a cyber attack on the nation’s electric grid, one of the biggest national security threats facing the country today, lawmakers warned. Experiments by federal agencies in recent years have shown that cyber spies have intruded the U.S. electric system, and that it’s increasingly susceptible to attacks by hackers and foreign governments. WASHINGTON — Cyberspies have penetrated the U.S. electrical grid and left behind software programs that could be used to disrupt the system, according to current and former national-security officials. The spies came from China, Russia and other countries, these officials said, and were believed to be on a mission to navigate the U.S. electrical system and its controls. The intruders haven’t sought to damage the power grid or other key infrastructure, but officials warned they could try during a crisis or war. The espionage appeared pervasive across the U.S. and doesn’t target a particular company or region, said a former Department of Homeland Security official. Authorities investigating the intrusions have found software tools left behind that could be used to destroy infrastructure components, the senior intelligence official said.